Photos from left: Anthony Delanoix, David Marcu, Morgan Sessions. Whether school's out, summer Fridays are about to begin, or you've banked your vacation days at work, there comes a time when you must face the question everyone's asking: What are you going to do on your summer vacation? Here at Fathom, we've been compiling our lists and checking them twice (summer vacay is Christmas for us) — on the look out for cool neighborhoods to explore, festivals to attend, road trips to take, lakes to jump in, new restaurants to try, and bed and breakfasts to fantasize about. Our interests are broad, our selections permanent and fleeting, old, new, iconic, or soon to be classic. Let the vacations begin. We'd love to hear about more things to do, places to go, people to see, fried things to eat. 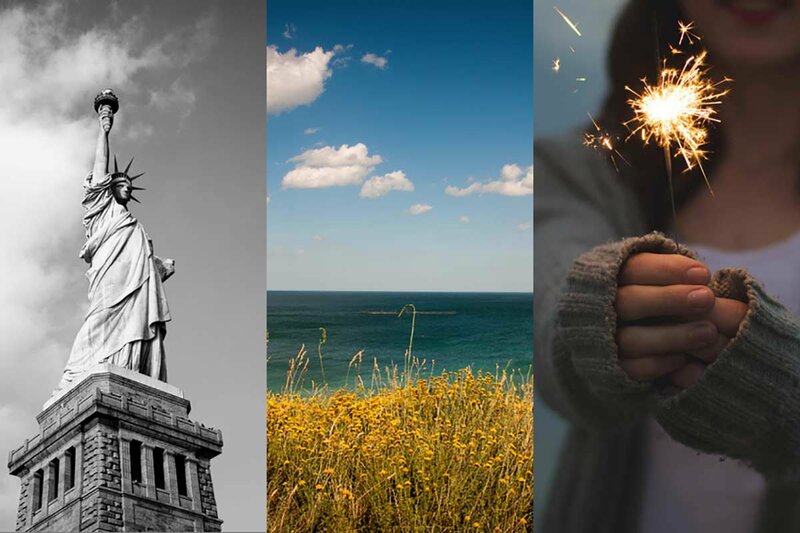 If you have a favorite summer happening somewhere in the good ol' U.S.A., drop us a line on Facebook, Twitter, or in the comments section below. Finally. It's summer in North Dakota. 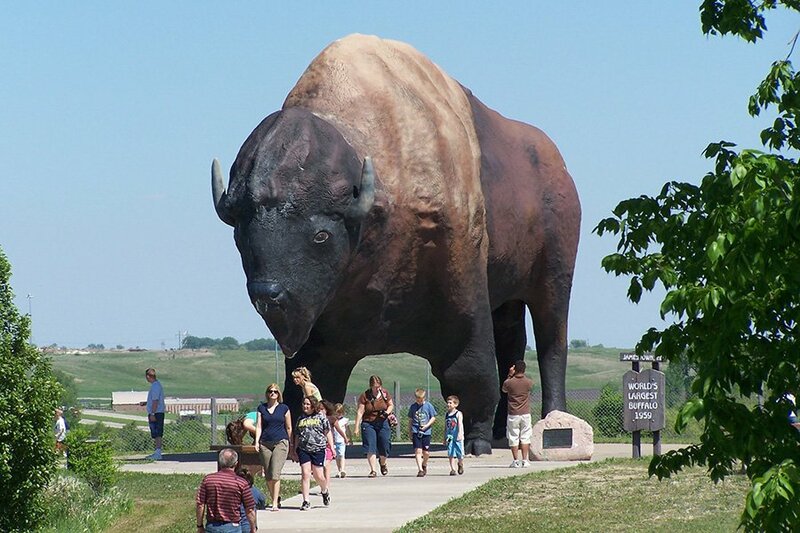 That means viewing the world's largest buffalo in Jamestown, indulging in chocolate-covered potato chip in Grand Forks, wading through incredible sunflower fields in late summer. The very-long-running Medora Musical is a Wild West-style production staged in a natural amphitheater in the far western pocket of the state. 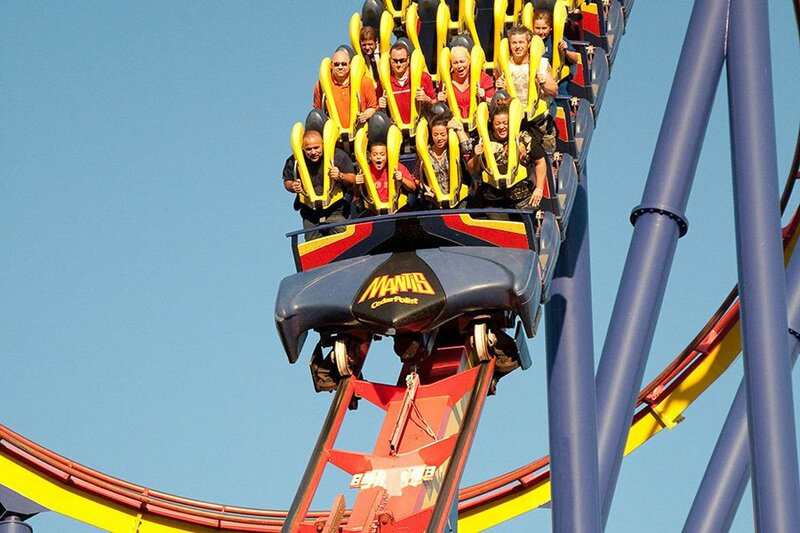 Get your adrenaline pumping and experience high-speed twists while traveling 60-plus mph on Rougarou, the new floorless coaster at Cedar Point, America's second-oldest amusement park. 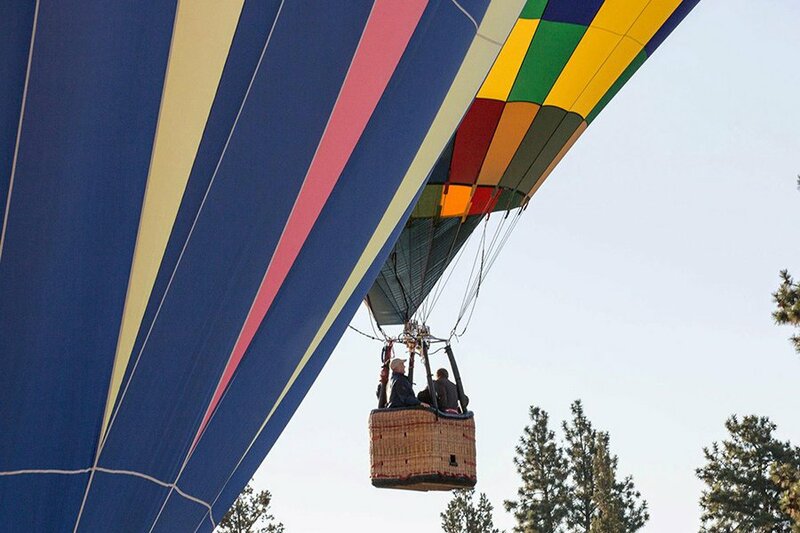 It's Festivus for the rest of us throughout Oregon: Shakespeare Festival in Ashland, Waterfront Blues Fest in Portland, 75th Annual Sisters Rodeo, and Balloons Over Bend. 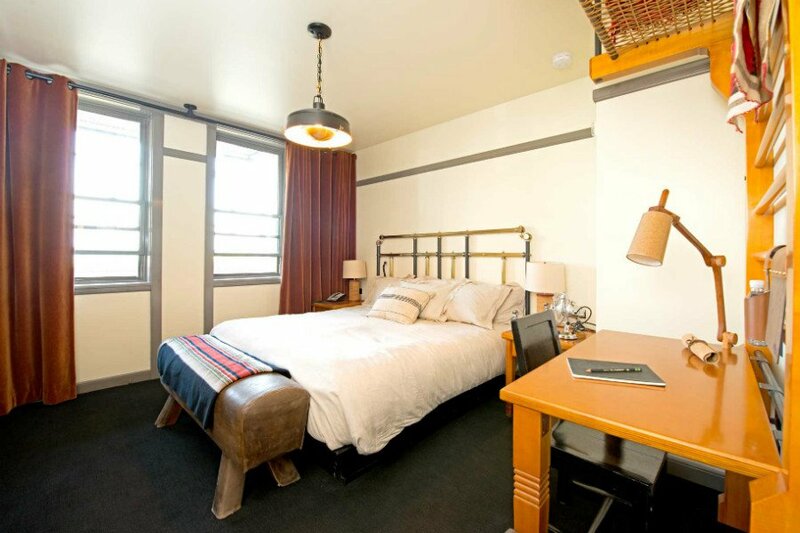 Pittsburgh, the city with a heart of steel, is warming up its creative scene with new boutique lodging. 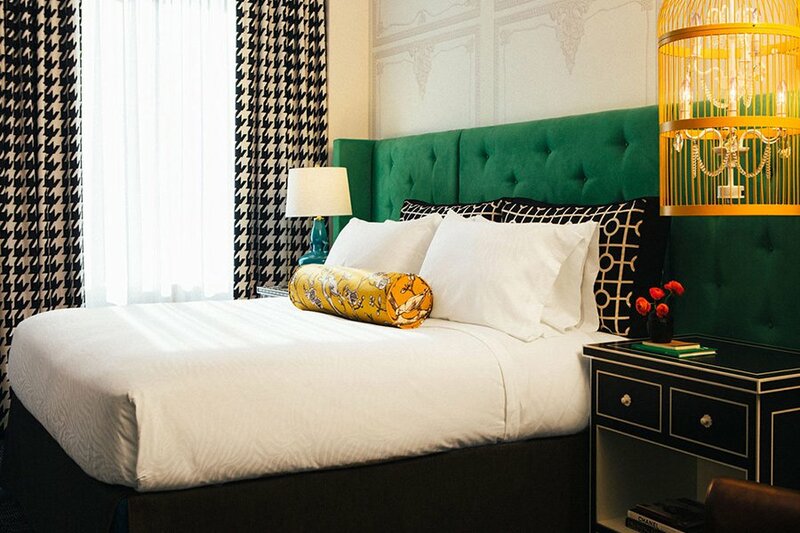 Hotel Monaco is filled with quirky details like ceramic penguin lamps (a nod to their beloved hockey team) and a sky-high biergarten with childhood games like corn hole and Connect Four. In conjunction with The Providence International Arts Festival, The Dean Hotel and The Avenue Concept are hosting an experimental public art event on June 13th. The full day of activites will include an all-styles dance floor, public skate park, and bites by Faust and Tricycle Ice Cream. Head for the rolling hills of the Blue Ridge Mountains, where retired cyclist George Hincapie opened Hotel Domestique, an old country inn that resembles something you'd find in Tuscany. Bring your own wheels or borrow one of the hotel's high-end fleet of Carbon fiber BMC bikes for a spin on Hincapie's favorite trails. 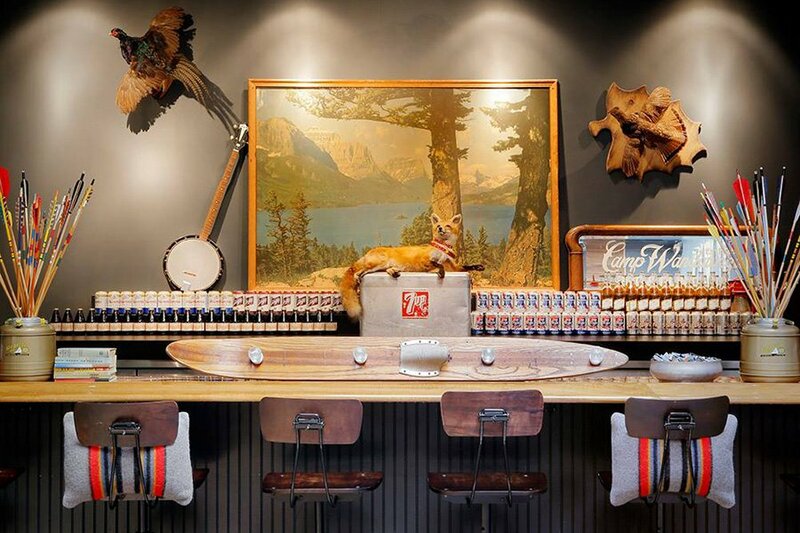 Travel to the Great Smoky Mountains, where Instagram-worthy and gastronomic Mecca Blackberry Farm recently underwent a big expansion — a bigger brewery, a new pool (coming soon), and a casual, new farmhouse-inspired restaurant in the main house, The Dogwood. July is adventure month, filled with activities like road cycling, paddleboarding lessons, and birdwatching — all complimentary with your stay. 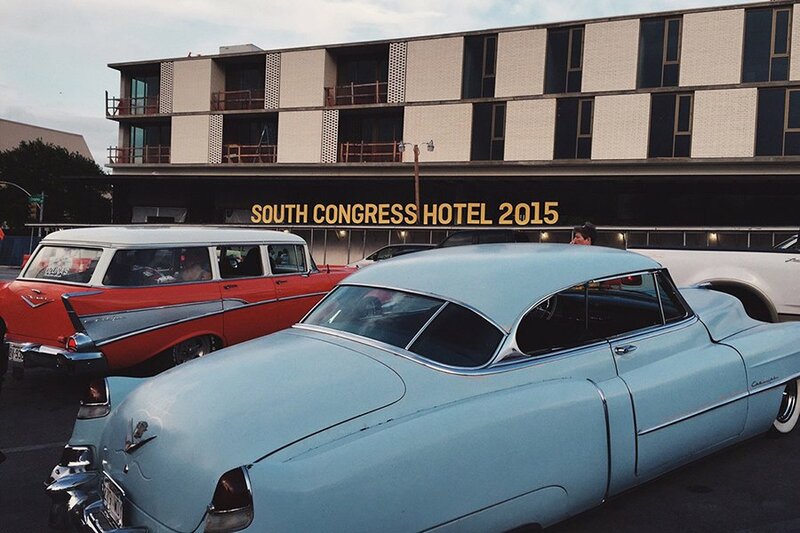 This August, the stylish boutique South Congress Hotel will open in Austin, along with Otoko, a 12-seat Japanese restaurant where local chef Paul Qui will mix Tokyo-style sushi and seasonal kaiseki cuisine. 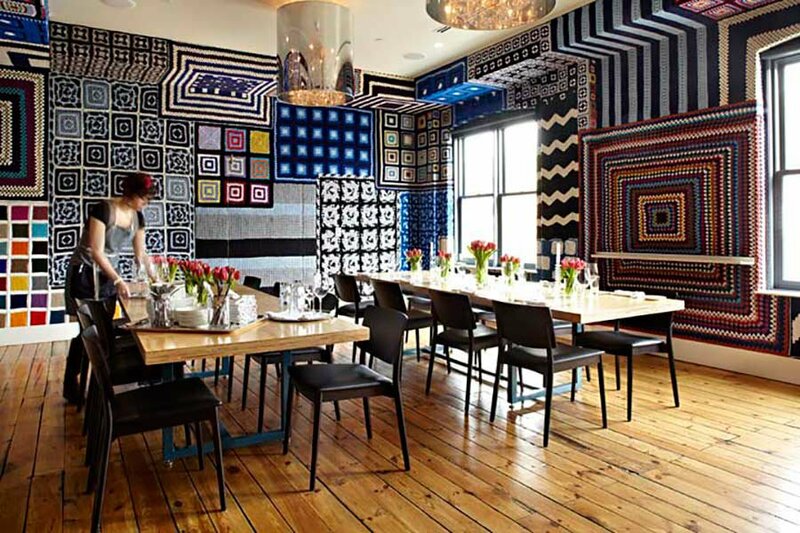 The hotel's other eateries are an American bar and grill, a California-inspired cafe, and coffee and juice bar Mañana. 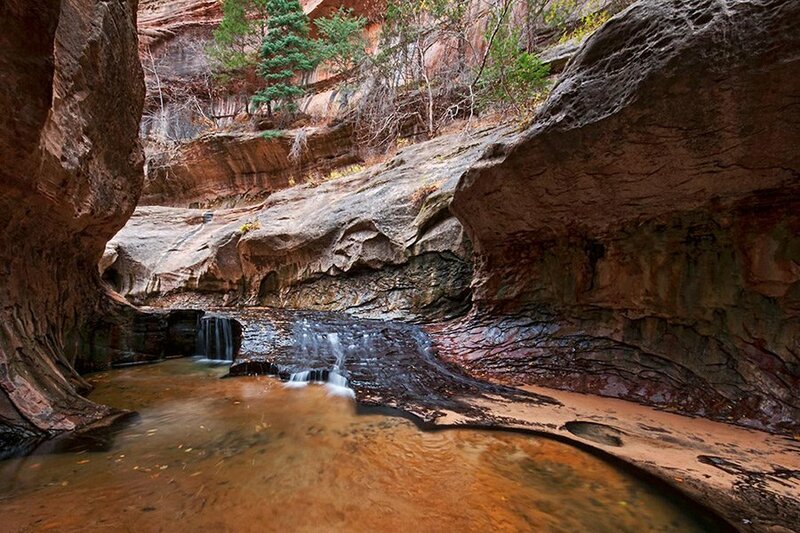 Breathe in deep to fill your lungs with fresh air at one of America's most stunning landscapes: Zion National Park. The park offers many trails, ranging from short walks to strenuous hikes, but we're most excited about lesser known Subway slot canyon. Festival season has officially kicked off in the Green Mountain state, with some 45 scheduled festivals. That's a lot to take in, but we have our eye on Birdfest! 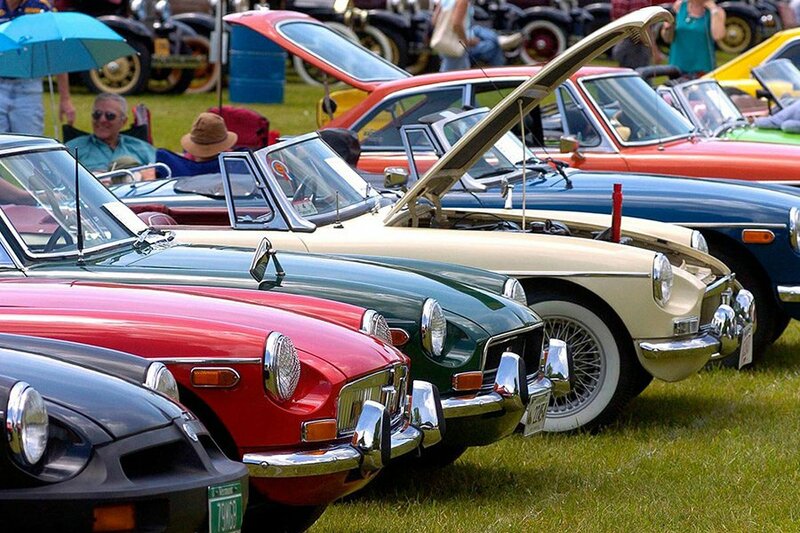 and the 29th Annual Antique and Classic Car Show. 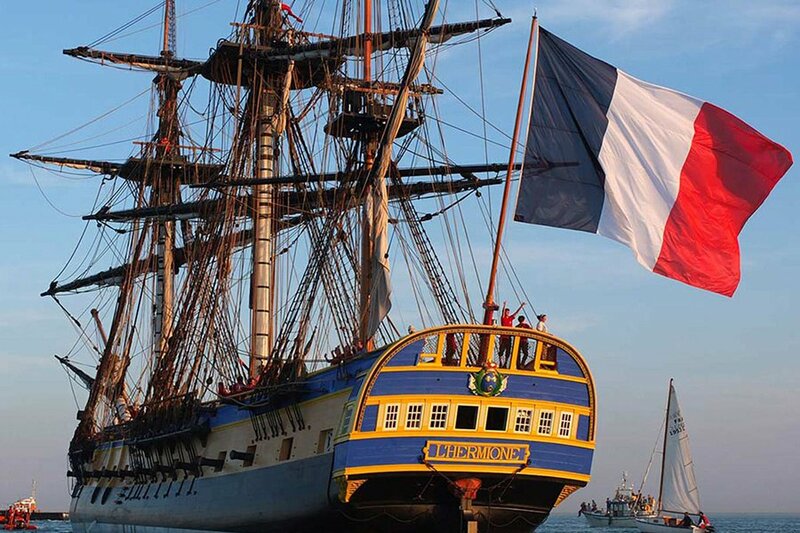 Make Yorktown your port of call from June 5-7 and relive the American Revolution when a replica of the three-masted tall ship that delivered Marquis de Lafayette to the colonies arrives from France. You travel off the beaten path, but what about foraging it for food? 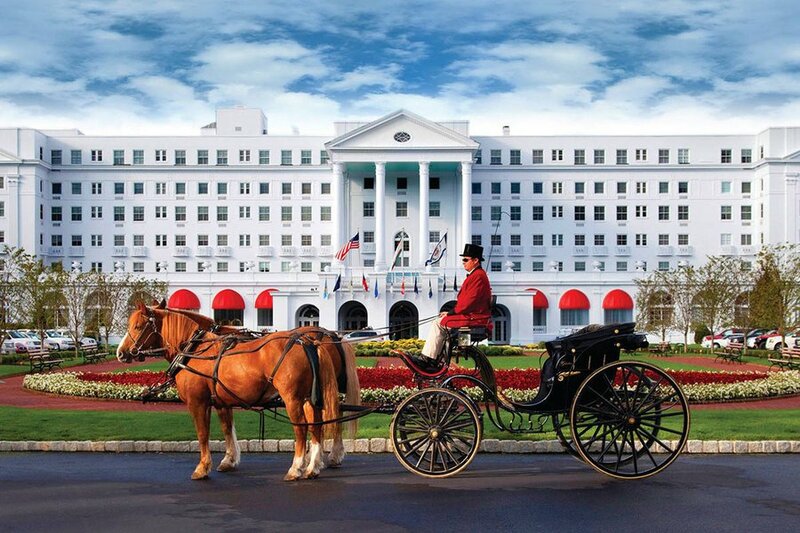 Wander through the fields and forests surrounding the grande dame of American resorts, The Greenbrier, with famed forager Alan Muskat. Executive chef Bryan Skelding will turn your finds into a delicious, fine dining meal. 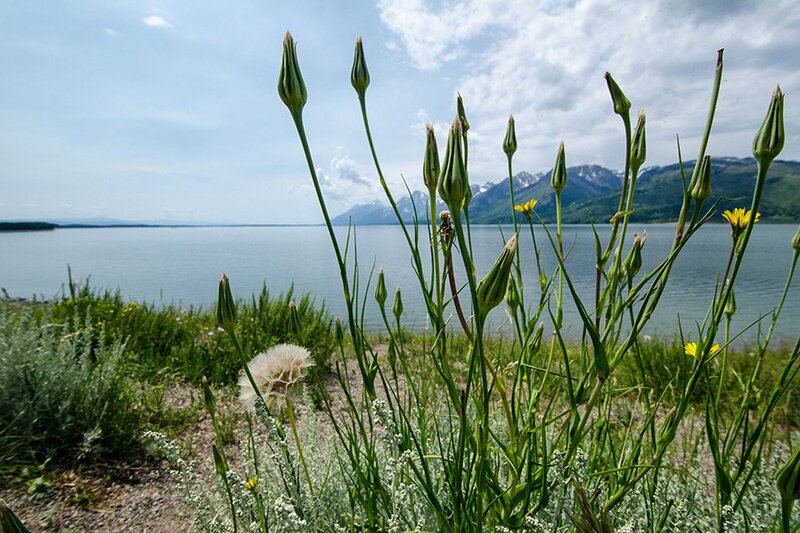 Grab your camping gear and head along John D. Rockefeller Jr. Memorial Highway through Grand Teton National Park. Camping grounds dot the route, which eventually leads to Yellowstone National Park. Enjoy nature. It's why you came to Wyoming, after all. Can you believe that the first museum dedicated to slavery in America is only opening now, in 2015? The new Whitney Plantation, about an hour from New Orleans, has an eccentric owner determined to challenge the historical narrative. 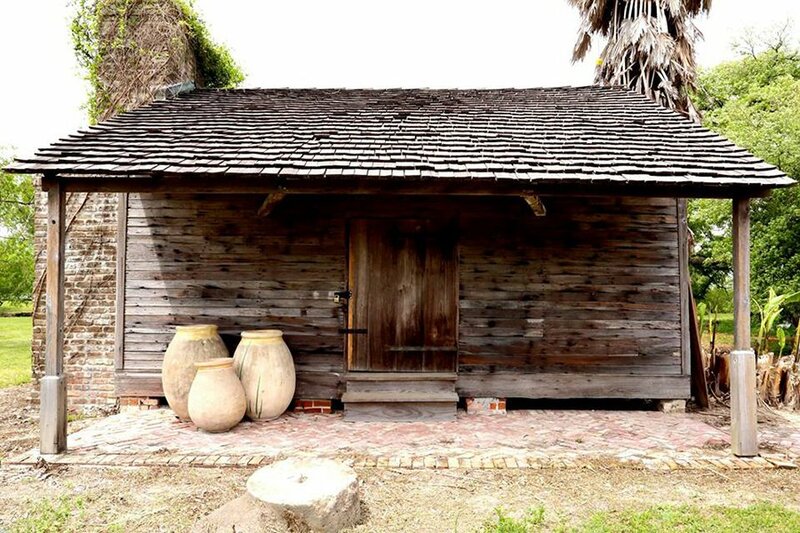 You'll learn the history of slavery in the United States on a plantation tour unlike any other. All sorts of charming new inns will make picturesque New England fantasies come true this summer. Salt House Inn in Provincetown is an adorable, 15-room bed and breakfast on the Cape with a daily menu of healthy homemade items served at the farm table or in a quiet corners of the garden. American history buffs should shack up at The Inn at Hastings Park, fifteen minutes from Boston. Twenty-two beautifully wallpapered rooms (with fireplaces, Americana, Frette linens) in three historic buildings are a stone's throw from the Lexington Battle Green. 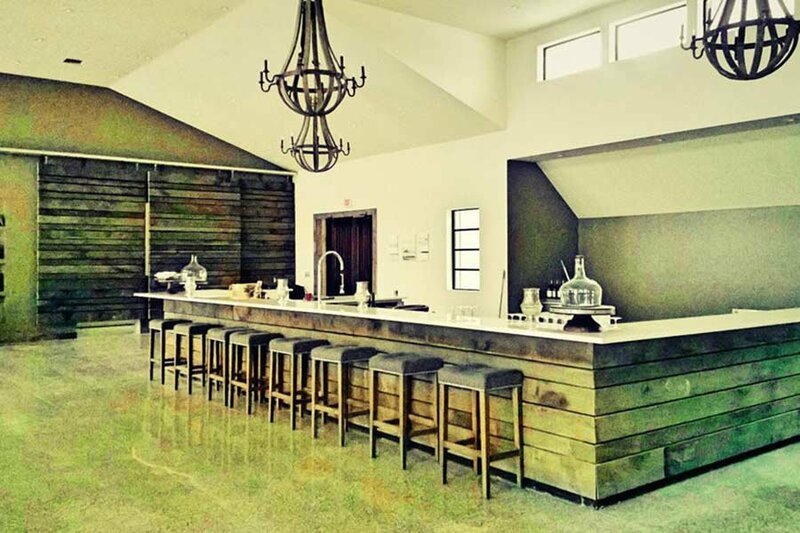 It's a family affair at Bonobo Winery, the Travese City winery built from scratch by Michigander Carter Oosterhouse (HGTV's Mr. Fix It), along with his wife, brother, and sister-in-law. 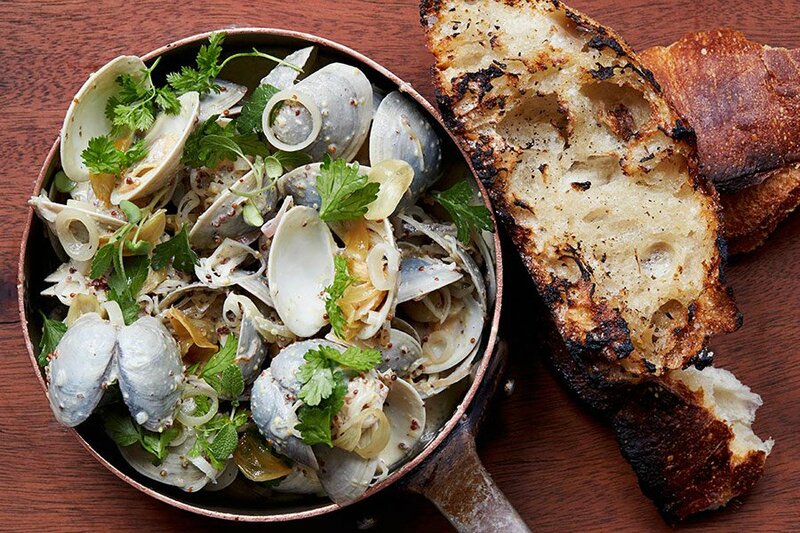 Chef Mario Batali consulted on the dining menu, which includes hearty pasta dishes from the Batali arsenal. The former cherry orchard has a spacious tasting room, a beautfiul patio on the lake, and plenty of chardonnay and riesling to enjoy with crostini by the indoor-outdoor fireplace. Minneapolis is having a hyper creative moment. Try to snag a reservation at the buzzing Spoon and Stable. Or eat your very local veggies from the rooftop garden of The Bachelor Farmer. Of course, there's fancy coffee to drink, artisan products to browse, and, for a limited time only, an avant-garde architectural installation to visit. 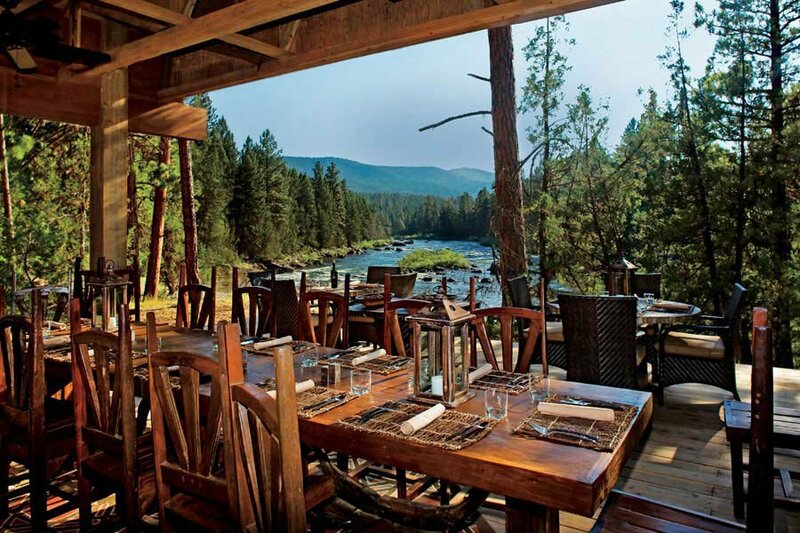 The Resort at Paws Up is celebrating ten years of luxury in the wilds of Montana this summer. 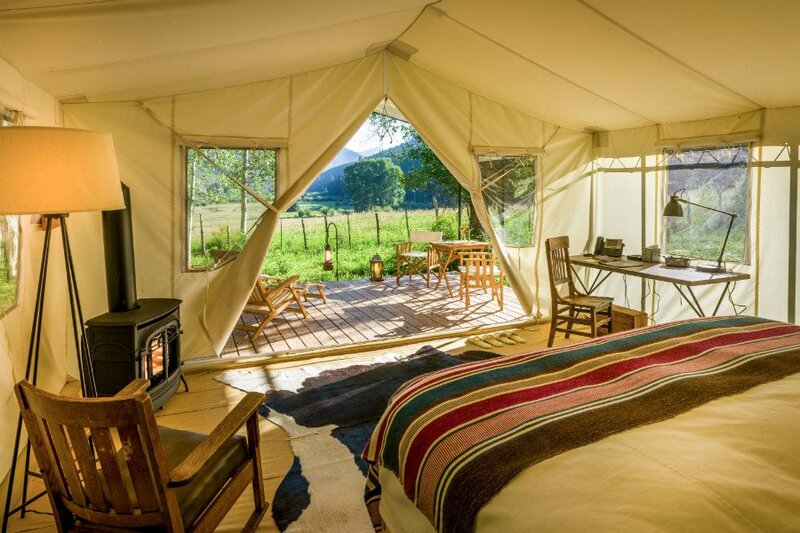 Horseback ride, cast a fly, round up some cattle, then hit the spa treatment tents. Finish off the night with s'mores around the campfire accompanied by tales from the ranch's very own Cowboy Poet. The opening of the sprawling Wilderness Outpost means more activities (wagon team driving), shopping (locally procured goods), and chances to take home a bit of Big Sky Country. Activist/philanthropist Madeline Pickens rescued 650 mustangs heading to the slaughterhouse. They now run like the wind at Mustang Monument, her wild horse sanctuary in Wells, a few hours west of Salt Lake City, where guest accommodations include ten beautifully appointed and hand-painted teepees (!) as well as a lavish ten-room cabin and a cozy saloon. 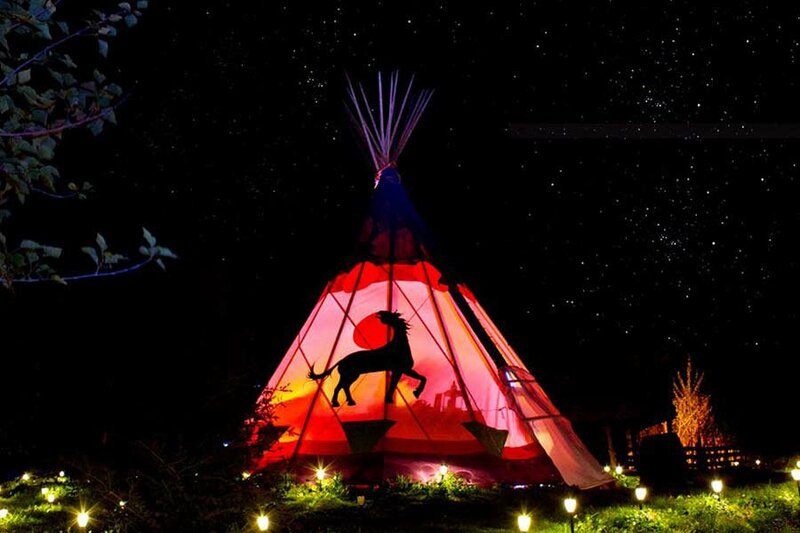 Resident Native Americans share their history and stories in the evenings, a lovely end to adrenaline-fueled days spent riding, rapelling, four-wheeling, and dining under the stars. It gets even better: 100 percent of the profits benefit Saving America's Mustangs. The tiny, kitschy, seaside town known as Asbury Park is being reimagined as a hip, creative waterfront escape. 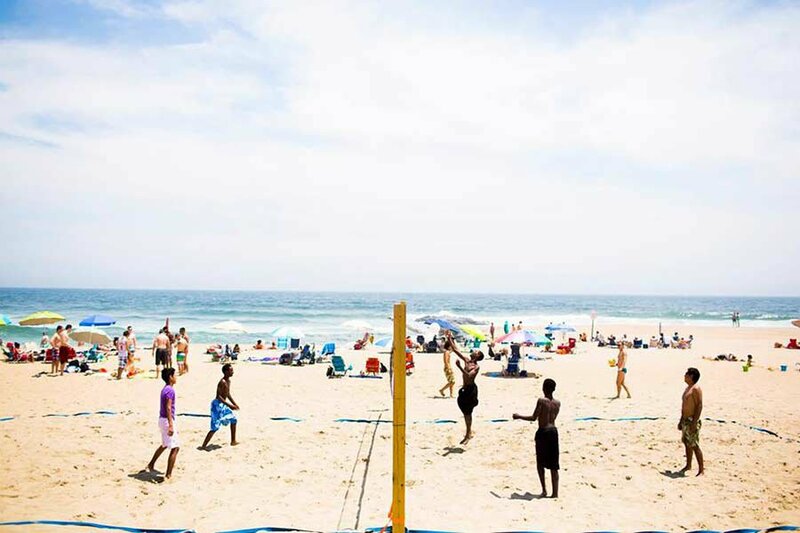 The summer line-up includes DJs, food trucks, outdoor yoga classes, surf camps, beach games, and art crawls among hammock gardens, water features, and boardwalk kiosks. On the first Saturday of every month, shops, galleries, and cafes are open late for young revelers-in-culture. Want to roam around like an eco conscious billionaire? Ted Turner Expeditions is opening up two million acres of private wild lands to bring together the Sierra Grande Lodge & Spa in Truth or Consequences and Vermejo Park Ranch in Raton (all owned by the media mogul). 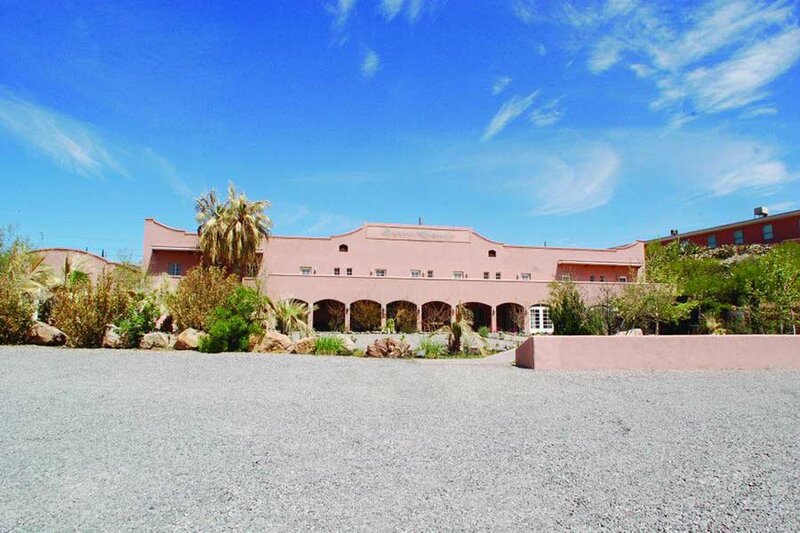 Custom trips include visits to Armendaris Ranch on the Rio Grande (with bighorn sheep and bison), and, later this summer, overnight access to Mr. Turner’s private home at Ladder Ranch, a 156,000-acre site and fine study in conservation. Louisville ain't just a horse betting and drinking town; it's also a fine dining one. 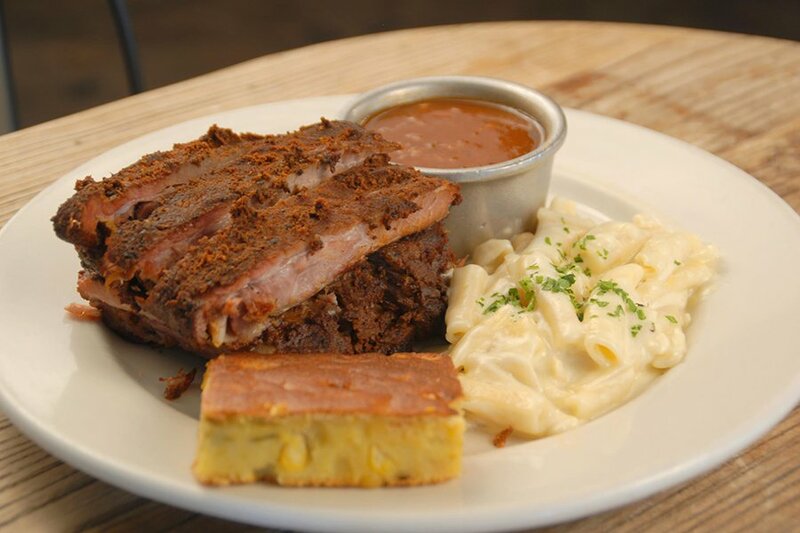 Bourbon and brisket have risen to new heights in the form of small plates (MilkWood), gastropubs (Hammerheads), and regionally inspired vegetarian tasting menus (Ward 426). Sure, it's a departure from tradition, but what a tasty one indeed. In a state that isn't quite sure if it's Western, Midwestern, or Southern, you'll find a hodgepodge of regional activites to keep you busy this summer. Feed your inner cowboy at Cattlemen's Steakhouse and then head to Langston's Western Wear for a pair of boots. Stroll the Oklahoma River waterfront with a stop at Redpin in Bricktown for a bowling alley and nightclub concept, and load up on hand-pulled pork and smoked ribs at urban BBQ joint Iron Star. What rock group has four men that don't sing? Okay, okay, bad jokes aside, can you think of a better photo op than Mount Rushmore? We can't. Which is why it's high on our list of places to visit this summer. 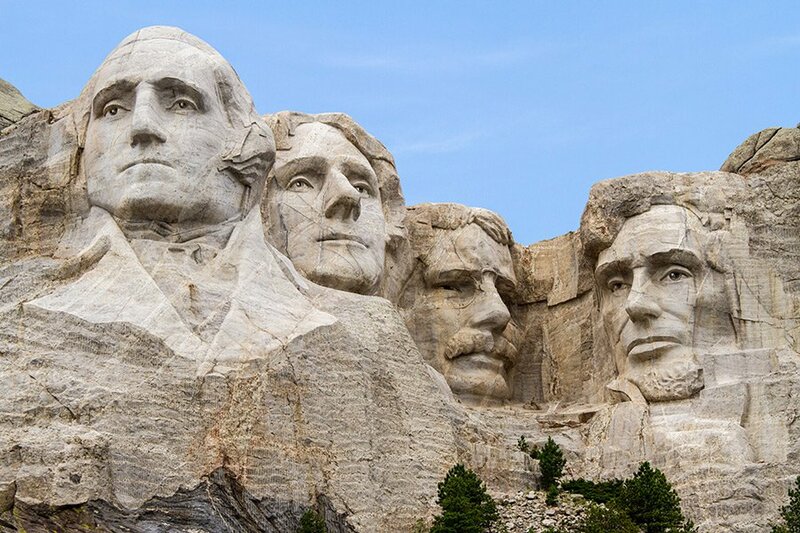 Carved into the side of a mountain in South Dakota's Black Hills region, this landmark is quintessential Americana. 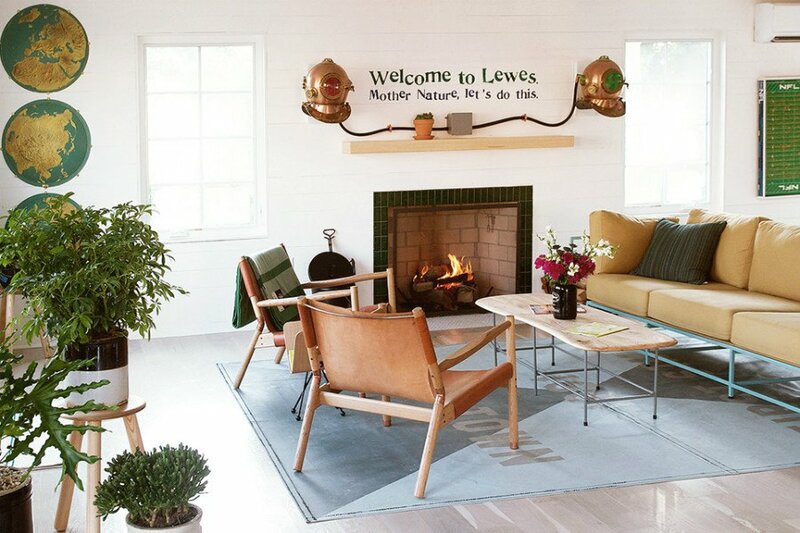 If you're one of those people that likes to reminisce on your long gone days at summer camp, then we have just the place for you: Camp Wandawega, an old lake resort that's been loveningly restored and styled to perfection. 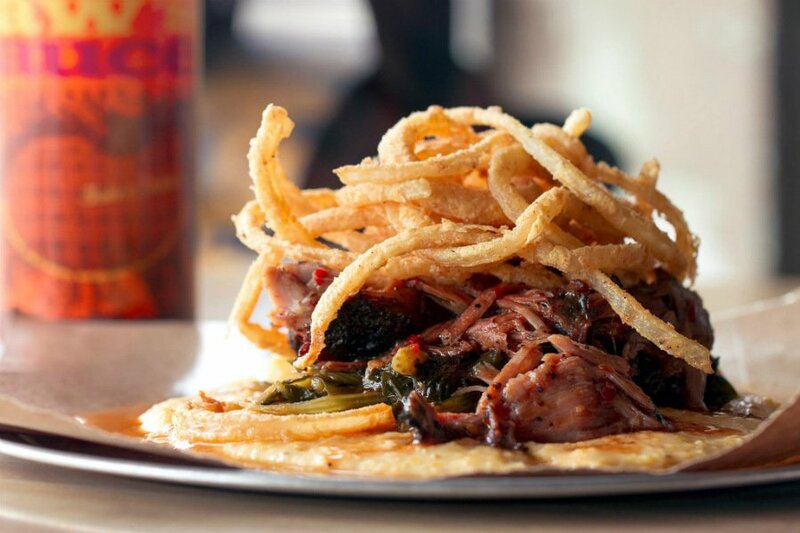 Celebrate The Year of Alabama BBQ in Birmingham at Saw's Soul Kitchen. Pay homage to the godfather of Alabama's culinary scene at one of Frank Stitt's restaurants: Bottega, Chez Fonfon, or Highlands Bar and Grill. Walk it off and catch an evening symphony perfomance along the water at the new Railroad Park. Skip the buffet line on your next cruise to Juneau and sample the local flavors on the brand new Juneau Food Tours. 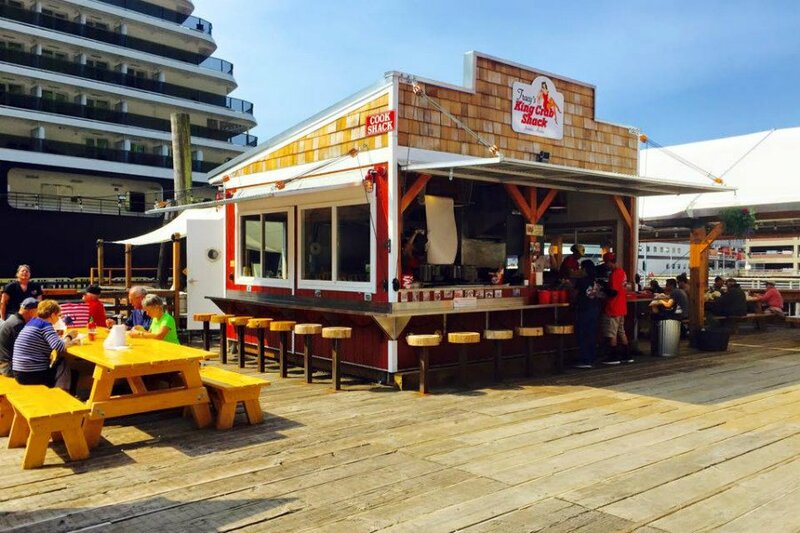 Stops include Tracy's King Crab Shack, the local fave celebrating their 10-year anniversary. On Fridays, the Juneau Arts and Culture Center hosts Food Truck Fridays with live music (June 5 through August 14). A scenic section of US Hwy 89 leading to Page just reopened this year after a two-year closure due to a landslide. The Sounds of Summer festival promises live music, film screenings, and dance performances till September. 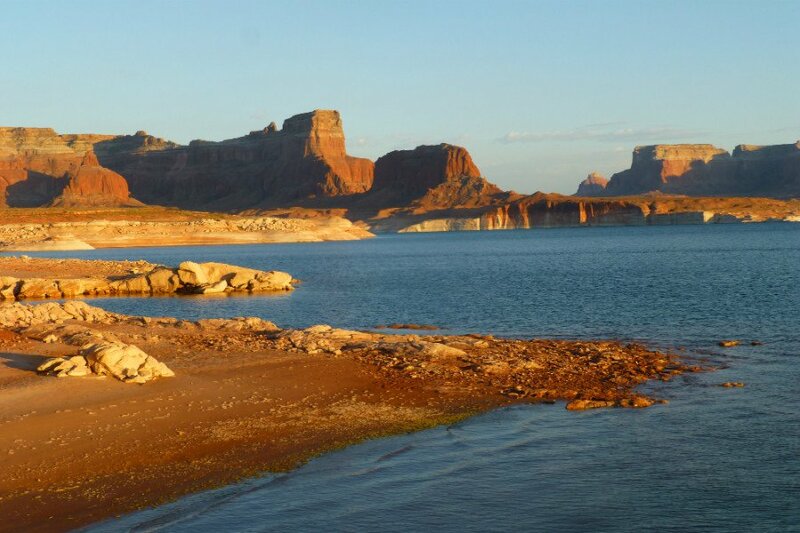 Hiking options in Lake Powell and Antelope Canyon are right around the corner. Sleep with art in Bentonville's 21C Museum Hotel and dinner at their restaurant The Hive, helmed by James Beard semi-finalist Matthew McClure. A five-minute drive will get you to Crystal Bridges Museum of American Art for a packed summer lineup of art trails and summer classes. 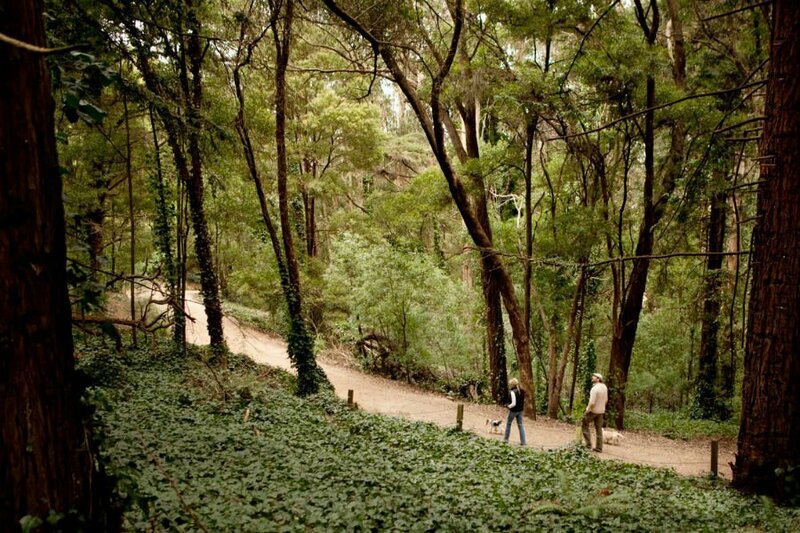 The army post-turned-national park Presidio in San Francisco is in for a busy summer. The new culture center at the historic Officers' Club kicks off its inaugural summer season of free public programming with concerts,films, art (Brit artist Andy Goldsworthy's installations are stunning), guided hikes, and more. 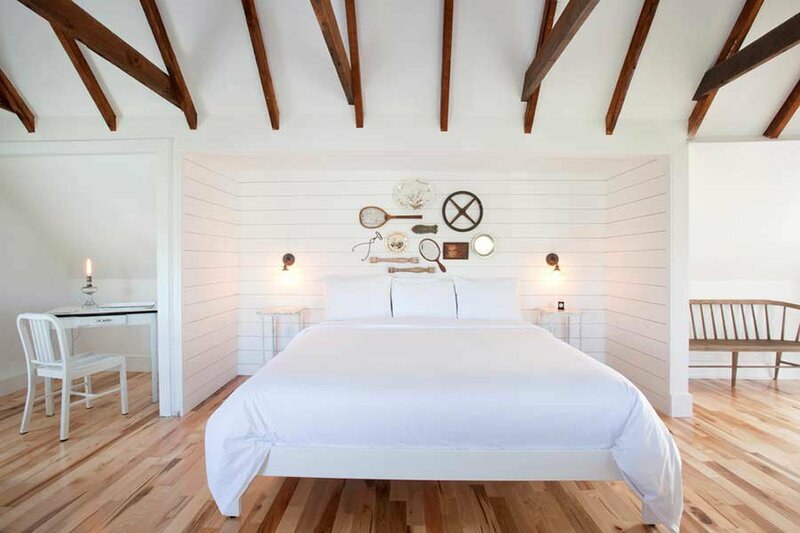 For food, we love chef Traci Des Jardins' new Arguello, and to sleep, we're checking into in the recently restored, cozy, 22-room Fathom Favorite Inn at the Presidio. The seasonal Dunton River Camp at Cresto Ranch reopens for their third season on June 1. Fly fish in Dolores River, hike in the San Juan Mountains, and end the night glamping in one of eight 640-square-foot tents. Drop by the Westport green haven that is Terrain for a summer class: Learn how to make beach terraniums or pick up gardening hacks with a nursery expert on Saturdays. 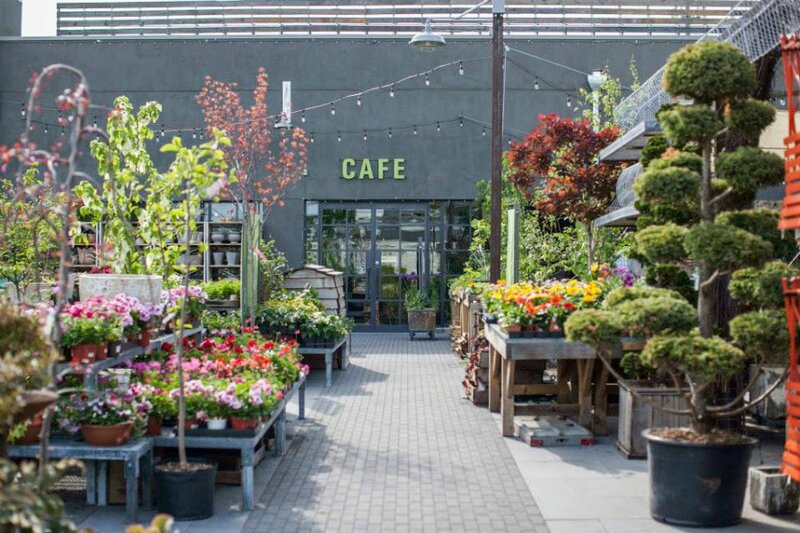 Fill hungry stomachs at their Westport Garden Café. Dogfish Inn, opened by the folks behind Dogfish Head Brewery, begins their second season in downtown Lewes. Kayak on the river, hit the beach, hike in Cape Henlopen State Park, and grab a nightcap at Brewpub before retiring to your cozy room. 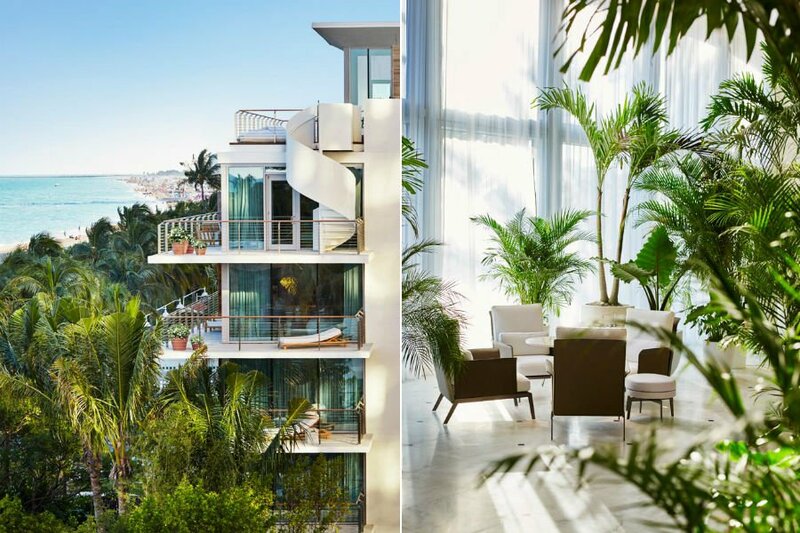 Get with the cool crowd at one of Miami's latest boutique hotels (the artsy Miami Beach Edition, the modern AC Hotel by Marriott, and the very green 1 Hotel South Beach, just to name a few). 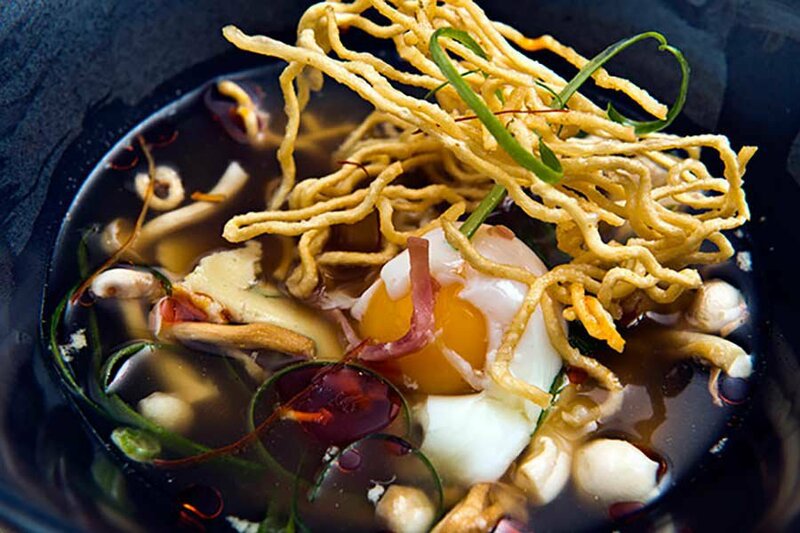 Fuel up anytime at Jean Gorges Vongerichten's 24/7 Market, have brunch in an Art Deco landmark building at 27, and end with dinner at James Beard Award-winning chef Michelle Bernstein's Seagrape. This summer, head to Decatur for a modern twist on the classic meat-and-three at Top Chef Kevin Gillespie's Revival restaurant (opening in July). 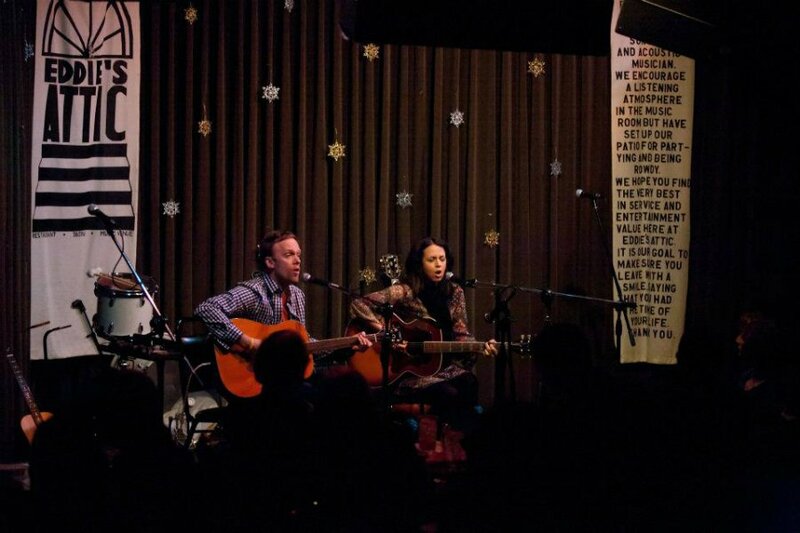 Grab breakfast at Cakes & Ale, shop local at Homegrown and Sq/ft, then catch an acoustic gig at Eddie's Attic. It's a city-wide block party all summer long with back-to-back festivals in a different Chicago neighborhood every weekend. We're going to Taste of Randolph, Wicker Park Fest, and Square Roots. 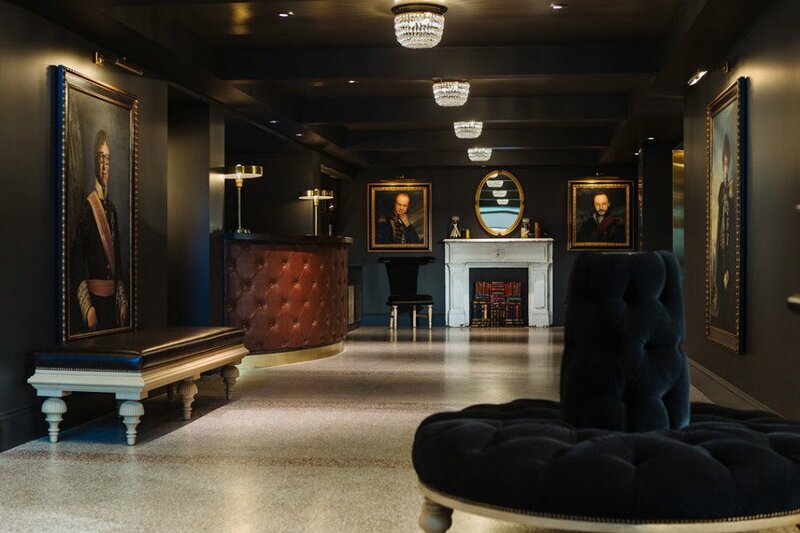 Stay at the recently restored Chicago Athletic Association Hotel and end the night with drinks at their historic Cherry Circle Room. Explore downtown Indianopolis on foot or by bike on the eight-mile Indianapolis Cultural Trail. 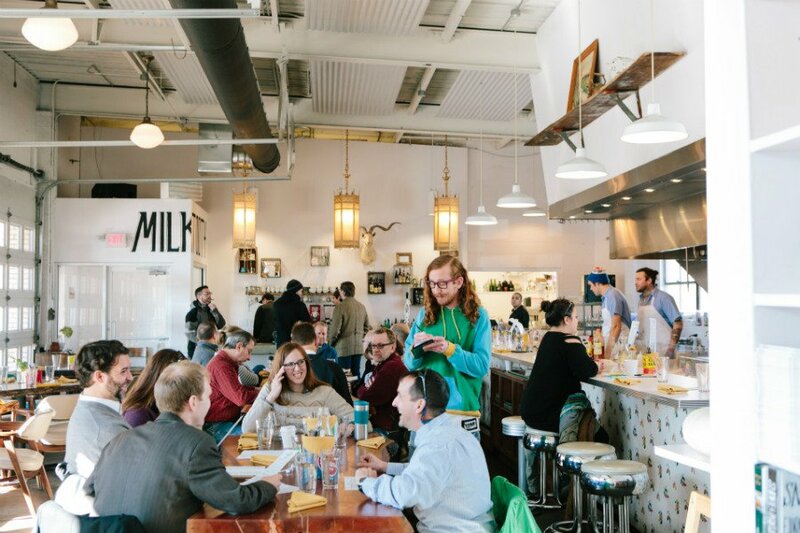 Start the day or take a midday break at the always bright and bustling Milktooth, run by Jonathan Brooks, one of Food & Wine's 2015 Best New Chefs. Drive towards the endless horizon of the Tallgrass Prairie Preserve in the Flint Hills of Kansas. 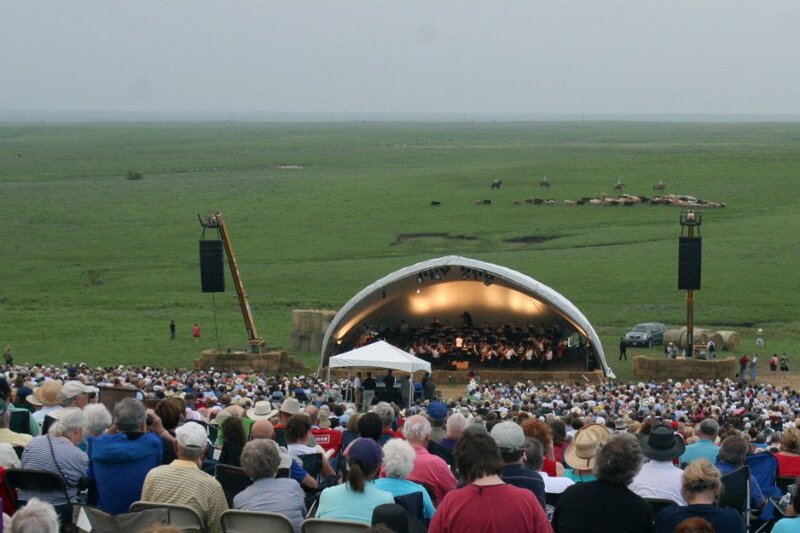 Eleven thousand acres of tallgrass prairie (which used to cover the North American continent, by the way), is the temporary home of a small herd of recently introduced bison as well as host to Symphony in the Flint Hills. 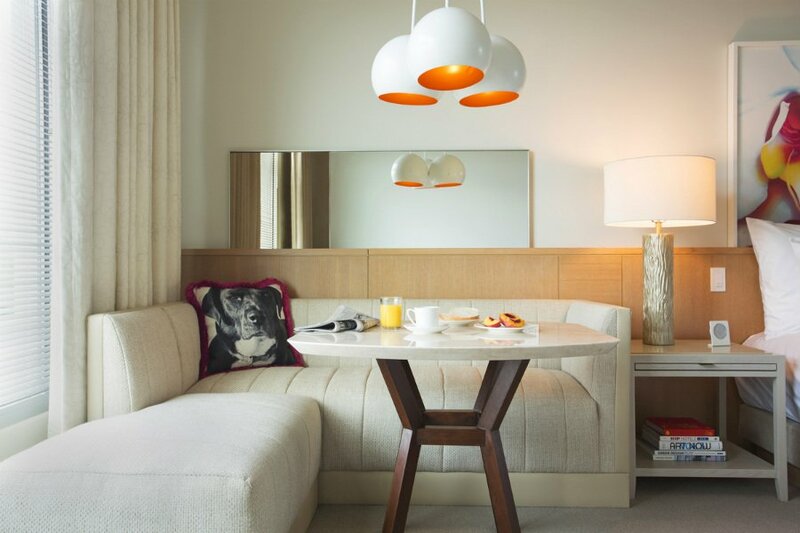 The 100-year-old building in downtown Seattle just got a massive facelift and is now The Palladian, the latest from Kimpton Hotels. While you're in town, spend a few hours at the flower shop/cafe/grocery The London Plane, and take a day trip to nearby Chateau Ste. Michelle winery to catch a summer concert with wine tastings on the side. Why not spend the summer retracing the country's musical roots? To really understand the blues, you need a Mississippi road trip. Among the abandoned jukes and meat-and-three pit stops, there are fife and drum picnics and excellent dives. Holly Springs has the Little Big Store, a historic depot chock-filled with records and music memorabilia. Clarksdale has the crossroads, Red's bar, and the Shack Up Inn (where we once walked in on a harmonica convention). Steakhouse and tamale joint Doe's Eat Place in Greenville is legendary. 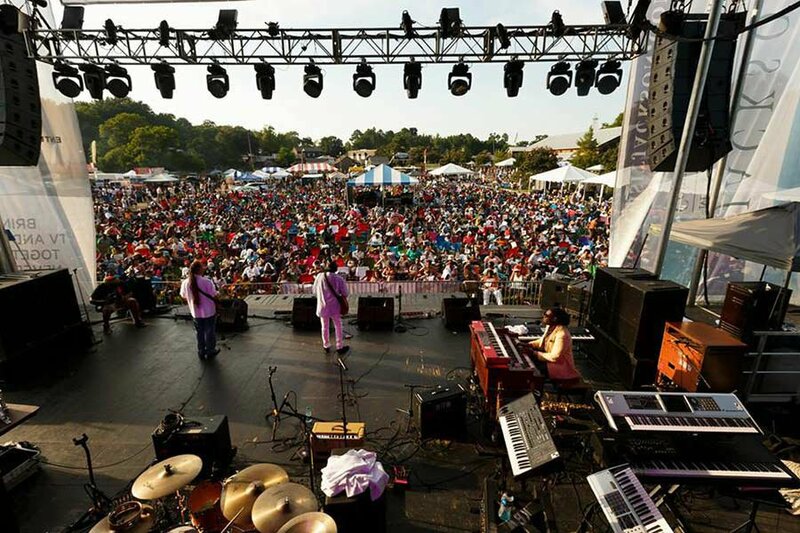 Come August, you'll be ready for the Rhythm and Blues Fest in Jackson. There's been a lot of buzz about the farm-to-table scene spreading across America. And Omaha, that enclave of art, irony, and graphic tees, is no exception. From The Grey Plume's sustainable barn-inspired dining room (chef Clayton Chapman got a James Beard nod this year) to Happy Hollow Country Club's elevated take on the steakhouse, fresh and local ingredients are sweeping the menus citywide. But don't let that discourage you from heading to Nebraska for what you really want: Omaha Magazine's Inagural Fried Food Fest (June 20th). It's all about the scenic drives! Motorists at dawn or dusk on Route 3 near the Canadian border will ultimately find Moose Alley — a well-worn corridor for the stately beasts who periodically leave the woods in search of salt. 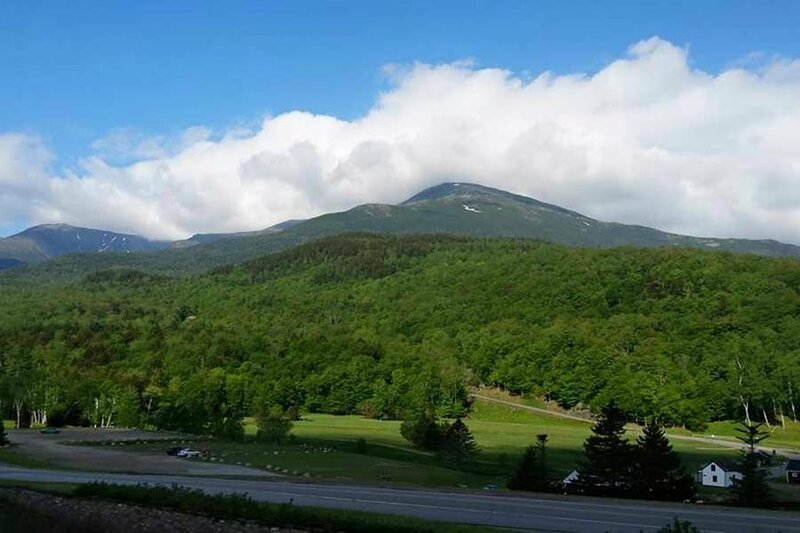 Three times during the summer season, Mount Washington's winding Auto Road opens early (June 28 at 3:30 a.m., July 26 at 4 a.m., Aug. 30 at 4:30 a.m.) for pre-dawn drives to the summit. The spirit of the enigmatic Frida Kahlo can be seen, felt, and appreciated at this summer's show at The New York Botanical Garden in the Bronx. Stroll through a recreation of Casa Azul, the artist's famed Mexico City studio and succulent garden, and view a dozen original Kahlo pieces up close. 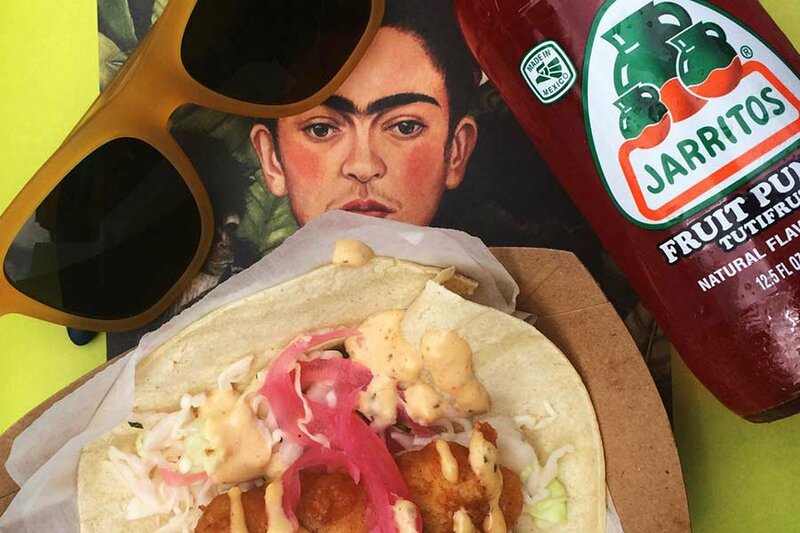 Scheduled throughout the summer are lectures, dining experiences, and Frida al fresco evenings with margaritas and music. Sustainable everything seems to be Hawaii's more recent mantra, as evidenced by the new businesses burgeoning on the island chain and the old traditions that are seeing a resurgence in popularity. Upscale retreats wear their wellness programs like a perfumed lei: Lumeria Maui, the Westin Maui, and the Kapalua offer raw woods and solar panels and spare running sneakers. Organic farms and markets are flourishing (as they should; this is paradise, after all). And shops like Maui Kombucha feel perfectly at home. 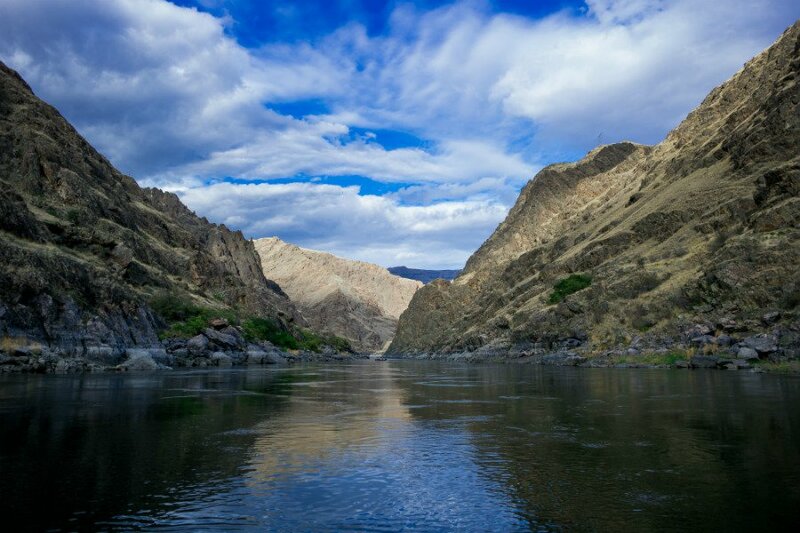 See remnants of the great Ice Age floods, trace the Nez Perce history, and take a jet boat tour or a multi-day rafting trip through North America's deepest river gorge at Hells Gate State Park. Manchester Whiterwater Park, Iowa's newest and largest whitewater park, just opened this spring. 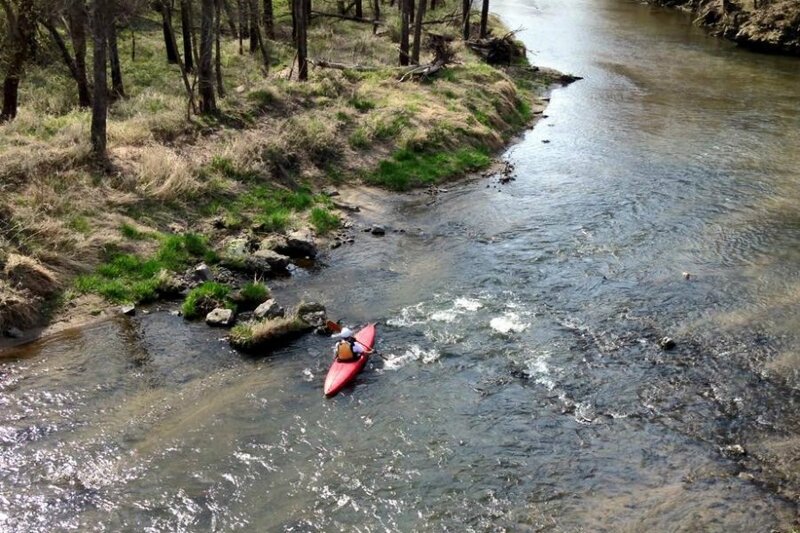 Kayak, stand-up paddle, and canoe down Maquoketa River, or drop by for live music and beer on June 20 for Let it Flow Riverfest. You'll need a place to stay in Kansas City when going to see the champion Royals, the city's perennial underdogs and beloved baseball heroes. 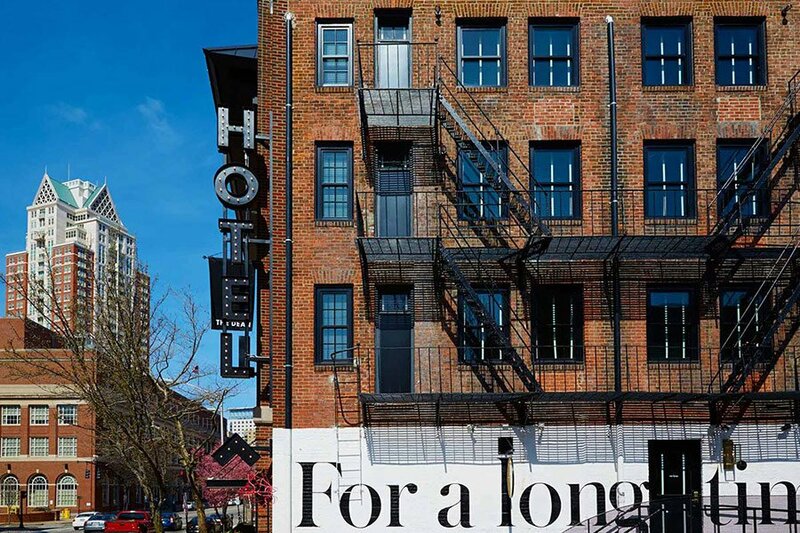 The lively Westport district has two recent additions: the urban-minded 816 Hotel in a former Holiday Inn and the new AC Hotel (a boutique offshoot of Marriott). 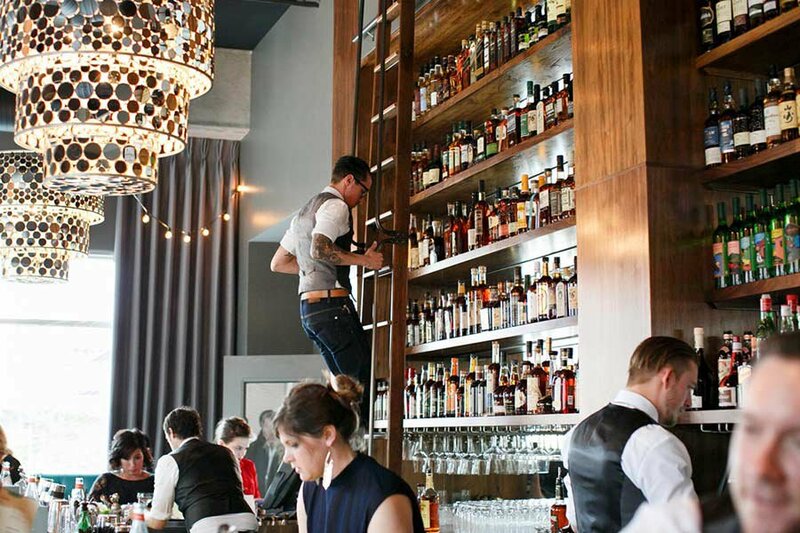 You'll need a place to imbibe, and Julep, with its shelves of bottles and bartenders on library ladders, will not only whet your whistle but also catch your eye. The hotly anticipated new restaurant from Per Se Alum Jeremy Hoffman and his wife Michelle is happening in Annapolis. 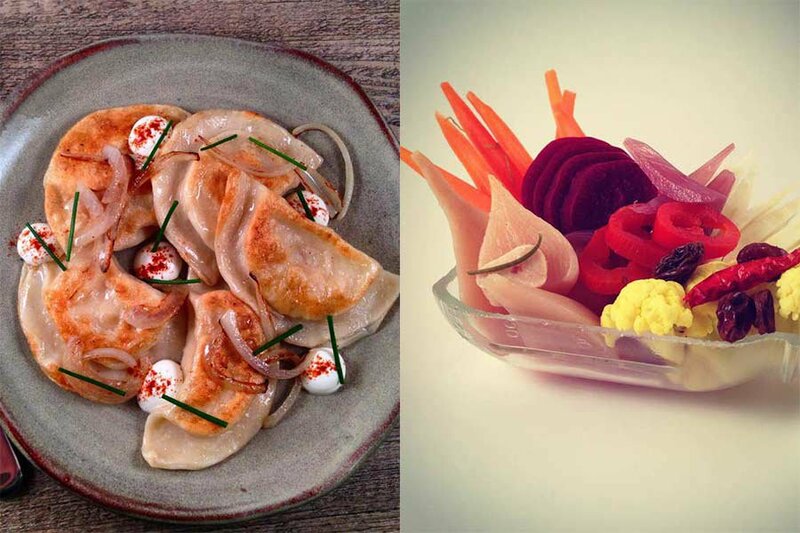 Preseve will focus on all things pickled, canned, and fermented, down to the cocktails. 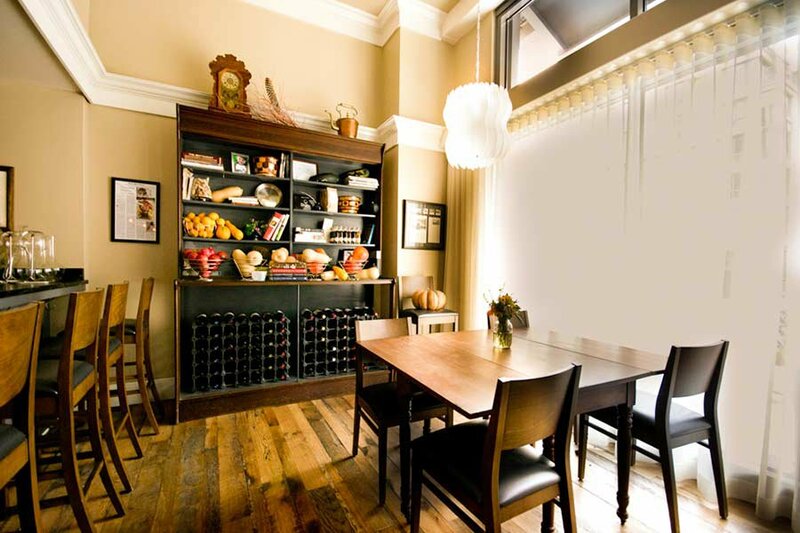 Glass jars of goodness line the walls, the kitchen is open and airy, and guests tipple craft brews while paging through old cookbooks and retro pickling manuals from the 1960s. 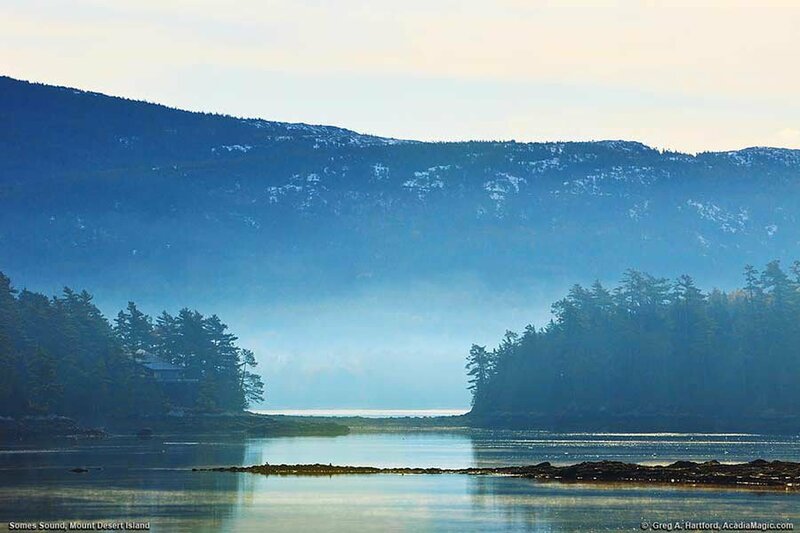 Beat the summer crowds coming into the Bar Harbor — the gateway to Acadia National Park — by heading to the more remote Baker Island. Forty-five miles of old carriage routes are used as hiking and cycling trails. And you can have many of them to yourself. New is nice, but sometimes a summer getaway feels best with a little nostalgia. 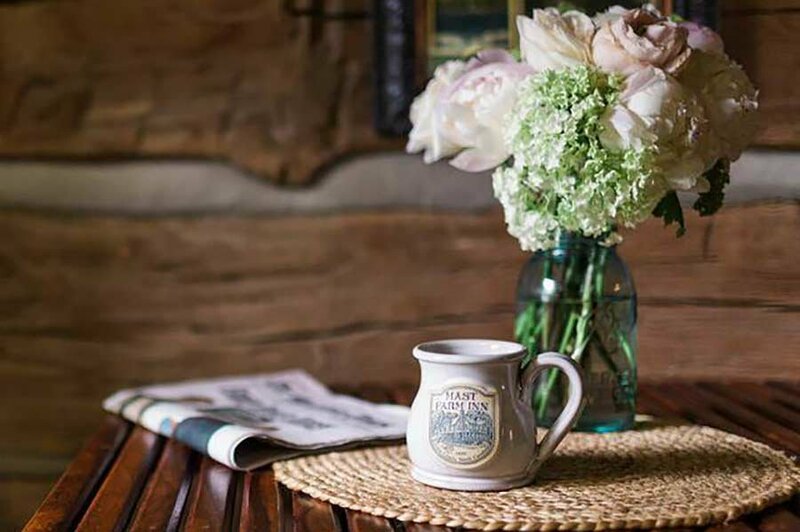 At The Mast Farm Inn, an incredible little family-friendly getaway in the High Country of Western North Carolina, rooms and cottages reflect their 19th-century farm heritage: pine paneling, four-poster beds, cast iron stoves. An organic garden supplies the all-day restaurant on a daily basis and fuels morning breakfasts of pasture raised eggs, ham, and homemade biscuits.